ZF-Lifeguardfluid is a premium grade range of transmission lubricants designed to optimise shift quality and maximise service life, thus extending maintenance intervals and reducing operating costs. 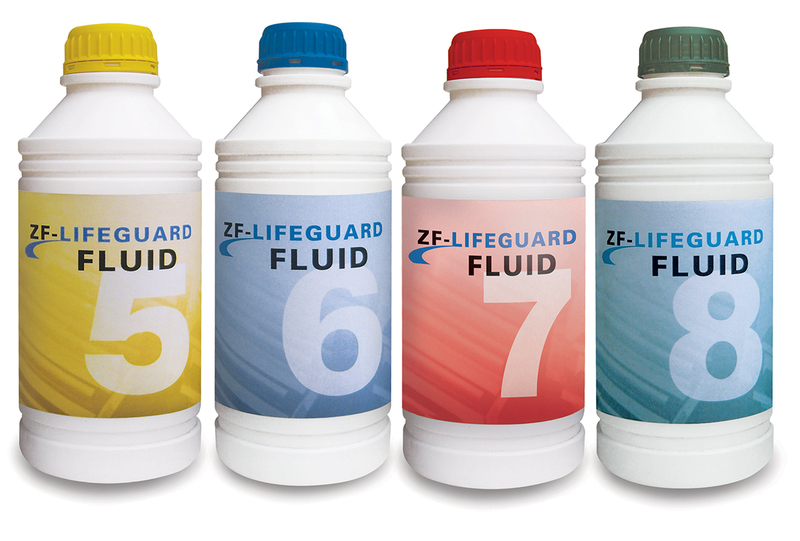 The ZF-Lifeguardfluid lubricants have been developed specifically for ZF’s range of high-technology four-, five-, six-, eight- and nine-speed transmissions. The result of extensive research and development, it contains a matched-combination of high-quality base oil and special additives, to ensure excellent lubrication and friction properties in even the most demanding operating conditions. Today’s automotive transmissions are more complex than they have ever been, with ever-greater operational demands placed on them, which is why ZF developed its range of ZF-Lifeguardfluid lubricants for specific gearbox applications, to maximise every aspect of its mechanical performance, it says. For any of today’s high-tech transmissions, a well-matched, high performance lubricant can offer several operational benefits that include reduced fuel consumption, lower CO2 emissions and improved reliability over a vehicle’s lifetime. Nonetheless, ZF says it recommends a lubricant change is performed every 100,000 kilometres or after eight years at the latest for passenger cars, as vehicles can age prematurely due to above-average mileage, excessive loads such as frequent towing, or regular high-performance driving. 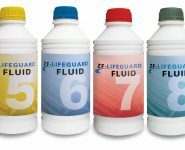 ZF-Lifeguardfluid is available from ZF Services Australia in a range of package sizes to suit workshop or customer requirements. For more information, visit www.zf.com/lubricants or call 1800 ZF SALES (1800 93 72537).